The hopes of smartwatch fans, especially those from the Android Wear/Wear OS crowd, might have just been dashed. Google has allegedly confirmed there will be no such things as a Pixel Watch this year. Truth be told, there was never really assurance there’d be one. But Google also didn’t actually discount the possibility of having its own Pixel-branded Wear OS smartwatch in the future, maybe even next year. Google, however, shouldn’t dillydally too long on making that wearable device. Because right now, the smartwatch market needs a Pixel miracle. To some extent, the Pixel phone had no business being this successful. Sure, it has Google’s name on it, but that was never a guarantee. There have been Nexus phones before, after all, and those were never considered retail successes. And yet, despite its high price tag, the Pixel and Pixel 2 phones enamored Android fans. In addition to its top notch camera (actually camera algorithms), its popularity was also due to its character as Android’s archetype. It represented Google’s vision for Android for everyone to see, unhindered by OEM compromises and negotiations. It is, at least in Google’s mind, what smartphones should be. There is no shortage of smartwatches in the Wear OS market, just like there has never really been a shortage of Android phones. To date, however, there has never really been the smartwatch equivalent of Nexus and Pixel phones. And while there are some advantages to giving OEMs and fashion brands the proverbial floor, Google is also simply letting loose these companies on an untamed frontier, without direction or guidance. The smartwatch market is practically split between the Apple Watch and everyone else. That “everyone else” is split even more between Samsung’s Gear, now Galaxy Watch, and the dozens of Wear OS variants as well as other platforms. Each has their own way of doing things and, while it’s not as bad as with Android phones, it still reeks of the same problems of fragmentation. Given the restricted nature of smartwatches, it’s almost impossible to get them wrong, right? Two-year-old chipsets, missing built-in GPS or NFC, dismal battery life, and more prove otherwise. That’s not to mention the biggest problem the Android platform faces no matter the version: updates. Smartwatches are even more personal than smartphones and there might not be one smartwatch to suit all needs and tastes. But like with smartphones, there still needs to be a baseline, a core set of functionality, features, and traits users can expect from any Wear OS device. Sure, manufacturers, especially luxury brands, can promote all the watch faces and bands they want, but if their smartwatch experience is sub-par, people will have fewer reasons to even bother with a smartwatch at all. A Pixel Watch really boils down to one thing: Google’s vision for Wear OS. Even back when it was called Android Wear, Google didn’t seem to have a holistic vision for the wearable platform. Sure, it had features and policies and limitations and complications (“watch face widgets”), but it’s not as coherent as its vision for Android. Manufacturers are picking up on this and are taking their smartwatches in all directions. What are smartwatches for? What makes Wear OS so different and so special (aside from not being tied to one smartphone platform)? Or better yet, how will a Wear OS smartwatch make your life easier? If Google itself doesn’t have a concrete, and by that, we mean a Pixel Watch, answer, others won’t either. A Pixel Watch is also a mark of commitment. Google is notorious for killing off “projects”, even after it has spent millions on them. For a time, it also seemed that Android Wear was on the road to obsolescence with a long lull in its development. 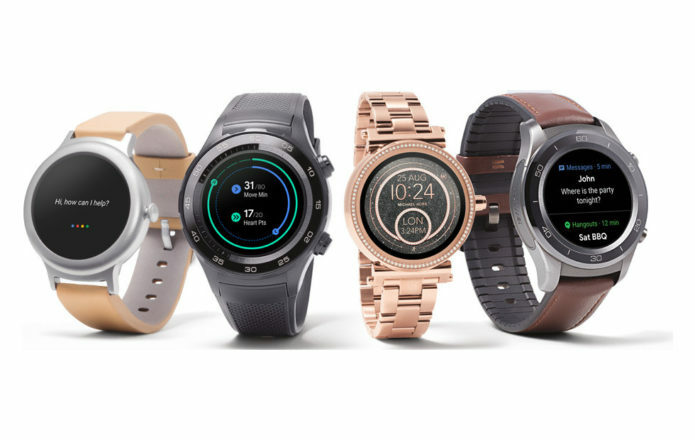 Things picked up again when fashion brands started putting out Wear OS smartwatches by the dozens, almost literally too. But what happens when those give up as well? Having a Pixel Watch sends a message to both hardware partners as well as consumers that Google is really serious about the smartwatches. It would have no choice but to stay on top of Wear OS development, supporting it during a product’s lifetime. Launching a Pixel Watch would reassure the market that, no, Wear OS isn’t going away and that it’s going to be something you’ll wish you had from day one. The Pixel phone was a game changer to some extent. It showed what could be done with less, like with the camera, and it showed how Android was meant to be (from Google’s POV). It showed Android users what could be done if OEMs let Google have its way. It didn’t kill off the competition, but it did make the market a lot more interesting. And right now, that’s exactly what Wear OS needs.